All of your data. In one place. Collect and retrieve the data you need on any device and share everything in real-time. Dynamic fields and live data validation eliminates time-consuming corrections. Manage all of your data in a single, unified intelligence and investigations application. Assign and share cases, in-app/email/text notifications, and digital signatures in one workspace. Upgrade to the most modern and flexible solution for police, parking, and code enforcement. Auto-populate data from NCIC/state/local records to fully-customizable citation formats. Automate your court or administrative hearings and manage all fees, fines, and costs from a single unified web-based application. Enhance citizen convenience, eliminate manual tracking of payment status, and automate notice and letter generation. Gain unprecedented real-time operational intelligence with dynamic dashboards. Map hotspots, analyze trends, create custom reports, and more across unlimited data sets. Effortlessly capture and retrieve the data you need. Anywhere. to access your records, anywhere. send for approval to your supervisor. encryption for data at-rest and in-transit. automatically sent when internet is detected. applications for sensitive government workloads. on-premise server infrastructure with our cloud-based SaaS offerings. Regular updates, 24/7 system monitoring/support always included. Retrieve and share data seamlessly across all of your devices. Eliminate paperwork, manual data entry, and data loss. Go-live in a matter of weeks, not months, or years. and deploy to your department. Quicket is the trusted partner of state and local governments dedicated to providing unrivaled technology that enhances the quality of public services while delivering the cost savings of the Cloud. Our experienced project managers work with you to deliver a fast and effective deployment strategy that does not burden your IT or administrative staff. With Quicket being entirely cloud-based, deployments typically take weeks, not months or years. Industry veterans along with some of the best engineers in the world have built Quicket from the ground up. Our solutions are intuitive and deliver the highest level of data security and reliability. Our customer support is always there for you. Always. Quicket is committed to bringing the best in current technology to meet your needs today and tomorrow. We value innovation. We challenge the technology status quo. 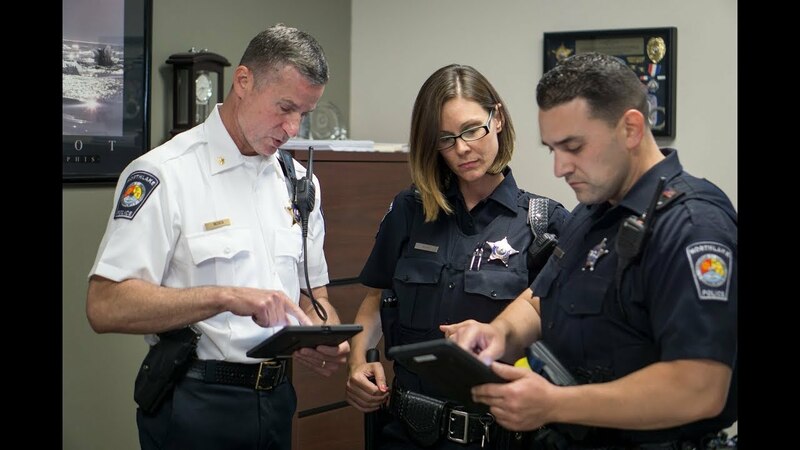 Quicket has built the first unified solution for law enforcement. Capture, store, share, and analyze all of your data in one place. A unified solution for code inspections, violation management, administrative hearings, and constituent engagement. Quicket delivers the most modern, secure, and affordable cloud-based solutions for sensitive government workloads. Our broad range of fully-integrated solutions includes records/case management, eCitation, evidence management, court and hearings, real-time data analytics, online payment processing, and more. Quicket collects data to provide customers with a resource for, information about and access to its solutions, products and services, and to operate Quicket’s business. Some of this data is provided directly, such as when you create a Quicket account, connect a Quicket-supplied device to the Internet or a Cloud service, or contact Quicket for support or to perform other services. Quicket also receives data from the access to the Site, for example, using technologies like Cookies, receiving error reports, usage data or location data from Quicket’s and others’ software running on products supplied by Quicket and others or from utilizing Quicket services. Name and contact data. Information, including Personal Information, collected through the Site or through other means, may include name and salutation, job title, physical address, time zone, telephone number (including work or home office, mobile, and fax numbers), photograph, e-mail address, and any other additional information that you may choose to provide. Credentials. Quicket collects information used for authentication and account access. Job Application Information. If you apply for any job opportunities at Quicket through the Site, you will need to provide your name, e-mail address, phone number and resume, and you may choose to provide a cover letter and any other information you desire to submit to Quicket. (collectively, the “Job Application Information”). Payment data. Quicket or its payment processor collects data necessary to process payments for purchases from Quicket or for violations or fines, such as credit/debit card information, bank information, wire transfer and/or any other financial or payment information associated with a payment. Product use data. Quicket collects solution and product feature use data, website activity data, performance data, product preference information, purchase history, and the webpages you visit. Device data. Quicket may collect data about a device, its operational state, configuration, past usage data, device performance data, and information on the network used to connect and use Quicket solutions and products. This includes data about the operating systems, applications and other software installed on the device, including product keys. This also includes Internet Protocol (IP) address, network authentication, MAC address, other device identifiers, regional and language settings. Error reports and performance data. Quicket collects data about the performance of solutions and products supplied by Quicket and others and problems experienced. This data helps diagnose problems in such solutions and products to continuously improve Quicket’s services. Depending on the solutions, products and settings, error reports may include data such as the type or severity of the problem, details of the software or hardware related to an error, device status, usage data, contents of data or files that were processing when an error occurred, and data about other devices, networks, or software with which the device interacts. Support data. When Quicket is engaged for support, Quicket’s contact with any data or information stored on a device will be incidental in most instances. Quicket will collect data about any hardware, software, and other details related to the support incident for tracking device performance and product improvement. Location data. Quicket may collect data about your location, which can be either precise or imprecise. Precise location data can be Global Position System (GPS) data, as well as data identifying nearby cell towers and Wi-Fi hotspots Quicket collects when location-based products or features are enabled. Imprecise location data includes, for example, a location derived from your IP address or other data that indicates the geolocation of an IP address with less precision including latitude, longitude, city, region, country or postal code. Other Technology. The Site also uses IP addresses, log files and other technology to identify Site problems and usage. Quicket reserves the right to introduce new tracking technologies and techniques related to the use of the Site, although Quicket will do so subject to and in accordance with applicable data protection laws and regulations. Quicket uses, discloses, transfers, and otherwise processes data, including Personal Information, in several ways. Quicket uses the data it collects for three basic purposes: (1) to process transactions for the sale and support of Quicket solutions, products and/or services; (2) to operate Quicket’s business, and to provide and support Quicket’s solutions, products and services; and (3) to send communications. If you create a user profile, Quicket will store Personal Information as requested to manage the profile and communicate with the user. Personal Information may also, subject to the requirements of applicable law, be used, disclosed and transferred to law enforcement personnel and other persons in situations where Quicket believes that it is necessary to identify, contact, or bring legal proceedings against someone who may be misusing the Site, interfering with the rights of Quicket or other users, or when Quicket reasonably believes that the law requires or permits such disclosure. Quicket shares Personal Information with consent or as necessary to complete any transaction or provide any product or service requested or authorized. protect the rights or property of Quicket, including enforcing the terms governing the use of the solutions, products or services; however, if Quicket receives information indicating that someone is using Quicket solutions, products or services to traffic in stolen intellectual or physical property, Quicket may refer the matter to law enforcement. If Quicket buys another business or its assets or sells or divests all or part of Quicket’s business or business assets, or engages in a merger or other significant corporate event, Quicket may transfer Personal Data to one or more third parties as part of the transaction. Pursuant to applicable regulations, Quicket maintains reasonable technical and administrative procedures to protect data including Personal Information against accidental or unlawful destruction or accidental loss, alteration, unauthorized disclosure or access, but Quicket cannot ensure or warrant the security of any data against any possible loss or unauthorized access. Quicket will provide individuals with access to their Personal Information where required by applicable data protection and privacy laws. Individuals will be required to sufficiently verify their identity. Declining to provide Personal Information may limit Quicket’s ability to respond to your inquiry. Quicket will keep your data, which may include Personal Information, for as long as necessary for the purposes for which it was collected, to provide you with solutions, products or services, to conduct legitimate business interests, and where otherwise required or permitted by law. The Site is operated in the United States. If you are located outside the United States and choose to use the Site, you hereby irrevocably and unconditionally consent to the transfer, processing, and use in the United States or other location of all Data provided to Quicket, including Personal Information. The privacy laws of the United States or locations at which the Data is processed may not be as protective as those in your jurisdiction. Quicket does not offer solutions, products or services to children. If you are under 18, you may use the Site only with the involvement of a parent or guardian. Quicket does not knowingly collect personal information from children. If you are under the age of 13, do not provide any information through the Site. If any person has a reason to believe that a child has submitted personal information through the Site, please contact us, and we will make reasonable efforts to delete the information from our data. Any use of the Site outside or beyond the Terms set forth herein is strictly prohibited and will be deemed a breach of this Agreement. To the extent the Site links to any third-party website, the terms and conditions of the third-party website shall control. If any provision of these Terms shall be unlawful, void, or for any reason unenforceable, then that provision shall be deemed severable from these Terms and shall not affect the validity and enforceability of any remaining provisions. For the avoidance of doubt, these Terms do not govern the use of Quicket’s solutions, products and services, which are subject to the specific terms and conditions applicable to the purchase, subscription and use of such solutions, products and services. The Site contains materials, including software, writings and documents, video and sound recordings and other content and materials created by, on behalf of, or licensed to Quicket (the “Content”). The Content may be owned by Quicket or by third parties. The Content is or may be protected under United States and foreign laws. Unauthorized use of the Content may violate applicable laws protecting intellectual property. Quicket and the stylized Quicket cloud logo are trademarks and service marks of Quicket Solutions, Inc. All other trademarks are the property of their respective owners. No right is granted to use of any Content included on the Site. Title to this Site and all Content developed, originated, or prepared by or for Quicket in connection with this Site remain vested exclusively in Quicket or its licensors. You agree that you will not copy, reproduce, alter, reverse engineer, modify, create derivative works, broadcast or publicly display any Content without the prior express written permission of Quicket. Unauthorized reproduction, duplication or use of this Site constitutes copyright infringement, and in the United States is punishable in federal court by fine and imprisonment. You grant Quicket rights to any information submitted via this Site and agree that Quicket may contact you if you provide your contact information. You and other Site users may post reviews, comments and other content, and submit suggestions, ideas, comments, questions, or other information, provided the content is not illegal, obscene, abusive, threatening, defamatory, invasive of privacy, infringing of intellectual property rights, or otherwise injurious to third parties or objectionable and does not consist of or contain software viruses, commercial or political solicitations, mass mailings, or “spam” of any kind. You may not use a false e-mail address, impersonate any other person or entity, or mislead as to your identity or the origin of the content. Quicket reserves the right (but not the obligation) to remove or edit such content, but does not have any obligation to regularly review posted content. Any content you may post or material submitted to Quicket results in your grant of a nonexclusive, world-wide, royalty-free, perpetual, irrevocable, and fully sublicensable right to use, reproduce, modify, adapt, publish, translate, create derivative works from, distribute, and display such content or submission. You also grant to Quicket the right to use your name, as submitted, in connection with the content or submission. You and other users may be permitted to upload certain software (including machine images), data, text, audio, video, images or other content (“Third Party Content”) to any community areas of the Site. You acknowledge that (a) Quicket has not tested or screened Third Party Content, (b) use of any Third Party Content is at your sole risk, and (c) Third Party Content may be subject to separate license terms as determined by the person posting such content. You represent and warrant that you own or otherwise control all rights to the content, including any Third Party Content, that you post; that the content is accurate; that use of the content you supply does not violate this policy and will not cause injury to any person or entity; and that you will indemnify and hold Quicket harmless for all claims resulting from content you supply. Quicket reserves the right, in its sole and absolute discretion, but has no obligation, to deny you access to the Site, or any portion of the Site, without notice, and to remove any comments that do not adhere to these guidelines. Quicket takes no responsibility and assumes no liability for any content posted by you or any third party. TO THE MAXIMUM EXTENT PERMITTED BY APPLICABLE LAW, THE SITE AND THE CONTENT IT CONTAINS ARE PROVIDED ON AN “AS IS, AS AVAILABLE” BASIS WITHOUT WARRANTIES OF ANY KIND. YOU ACKNOWLEDGE AND AGREE THAT YOU ASSUME FULL RESPONSIBILITY FOR YOUR USE OF THE SITE AND AGREE THAT ANY INFORMATION YOU SEND OR RECEIVE DURING YOUR USE OF THE SITE MAY NOT BE SECURE. USE OF THE SITE IS AT YOUR OWN RISK AND THE SITE IS MADE AVAILABLE TO YOU AT NO CHARGE. IN FURTHERANCE THEREOF, TO THE EXTENT PERMITTED BY LAW, QUICKET DISCLAIMS ALL IMPLIED WARRANTIES OF MERCHANTABILITY, FITNESS FOR A PARTICULAR PURPOSE AND NON-INFRINGEMENT RELATED TO THIS SITE AND YOUR USE OF THIS SITE. IN NO EVENT SHALL QUICKET OR ANY OF ITS SUBSIDIARIES, AFFILIATES, OR SUPPLIERS BE LIABLE FOR ANY DIRECT, INDIRECT, CONSEQUENTIAL, PUNITIVE, SPECIAL OR INCIDENTAL OR OTHER DAMAGES RESULTING FROM, ARISING OUT OF OR IN CONNECTION WITH THE ACCESS, USE OF, OR INABILITY TO ACCESS OR USE THE SITE. YOUR SOLE AND EXCLUSIVE REMEDY FOR ANY CLAIM OR DISPUTE WITH QUICKET RELATED TO THIS SITE IS TO DISCONTINUE YOUR USE OF THIS SITE. This Agreement will be interpreted under, and any disputes whether sounding in contract, tort or otherwise arising out of this Agreement or your use of this Site will be governed by, the laws of Illinois, excluding its conflicts of law principles; and you consent to the exclusive jurisdiction of the Federal and State Courts in Cook County, Illinois in connection with all actions arising out of or in connection with this Agreement or your use of the Site, and you waive any objections that venue is an inconvenient forum. Any cause of action you may have with respect to your use of this Site must be commenced within one (1) year after the claim or cause of action arises. If you live in a country or state that does not allow any of the foregoing exclusions or limitations of liability or any of the disclaimers of warranties in above, such exclusions or limitations will not apply to you, but only to the extent such exclusions or limitations are not allowed. In such case, such exclusions or limitations shall be limited to the extent required by applicable law. Quicket reserves the right, in its sole discretion, to restrict, suspend, or terminate access to all or any part of the Site or this Agreement, at any time and for any reason, without prior notice or liability. Quicket reserves the right to modify, change, suspend, or discontinue all or any part of the Site at any time without prior notice or liability.